Starring Terry Jacks as Rock Star Terry Brandon whose life changes when he is diagnosed with a rare disorder giving him only months to live. 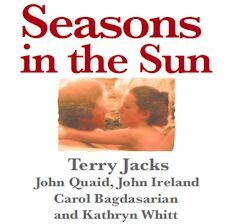 Terry moves to The beautiful Queen Charlotte Islands of BC to find peace and escape the demands of performing on the road ..but all is not peaceful and he finds love can come wearing a disquise. Shot in British Columbia circa 1985 …the movie features awesome cinematography and captures The Ocean and Old Growth Forest in pristine condition. A travel guide that makes the viewer long to visit BC! 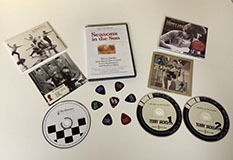 Re-mastered from the original master reel featuring the mega-hit song Seasons in the sun. Also starring Carol Bagdasarian, Kathryn Whitt, John Quaid and John Ireland.